If you are a fan of mysteries, there is nothing worse than waiting for your favorite authors’ next book. To help ease the pain, here are two mystery series you may not have discovered at the Hoboken Public Library. 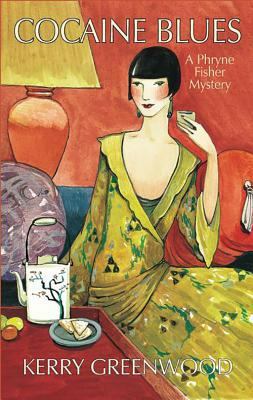 Meet the Honorable Phryne (pronounced Fry-nee) Fisher, a ‘lady detective’ in 1920’s Australia. Written by Kerry Greenwood, this series is a delightful romp through jazz age Melbourne. Phryne, equally at ease with society’s haut monde as with the dock ‘wharfies’, she metes out her own unique brand of justice. This Australian Nemesis doesn’t let anything or anyone get in the way of what she wants. Starting with Cocaine Blues to her most recent, the 19th entry to the series, Unnatural Habits, Kerry Greenwood can become habit forming. If historical mysteries aren’t your cup of tea, let me introduce you to Louise Penny’s Chief Inspector Armand Gamache of the Surete du Quebec. These intricately woven tales draw you immediately into the story her fully-developed characters, are at once vivid, alive and all too realistically flawed. Her lyrical writing style creates a world of its own especially in her depiction of the hamlet of Three Pines and its inhabitants. 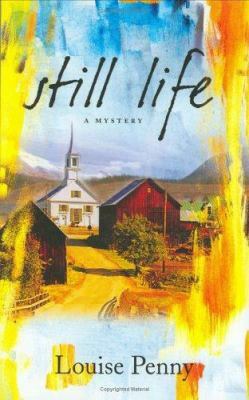 A wonderful series to delve into, try 2006’s Still Life you will not regret it.